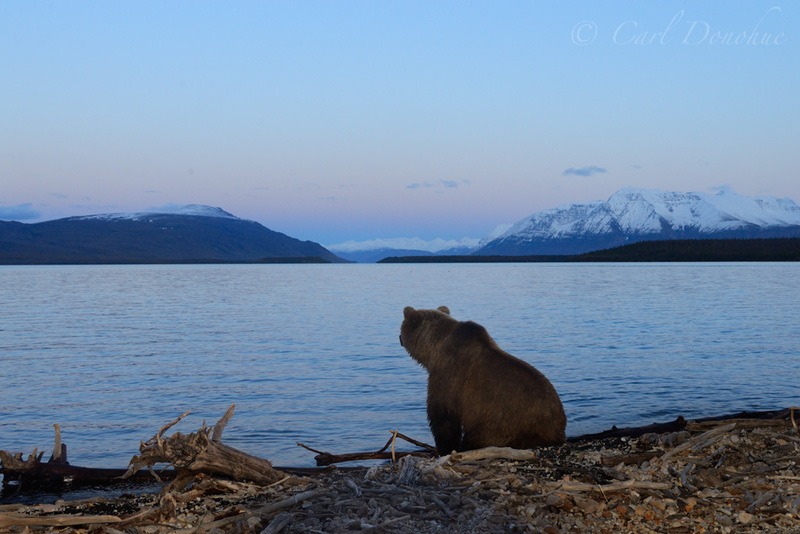 A brown bear sits and stares across Naknek Lake, sunset, and Mt. Katolinat, (Ursus arctos) Katmai National Park and Preserve, Alaska. I guess, sometimes, we’re not the only ones who admire a nice scene and pretty sunset. Ya think? Carl, that is one magnificent shot! Well done!! This is really sweet and by “sweet”, I don’t mean “oh man, that’s a sweet photo”. I mean sweet as in heartwarming. Just love it, Carl. Just classic Carl and so unique. I’ve never seen anything like it. Thanks @Russ and @Bret … appreciate it guys. Posted on Monday, January 14th, 2013. This epic photo was taken by Carl Donohue.